Three years ago, Ben Kinney made a proposal to a local real estate agent: He would pay the agent $18,000 if the agent gave Kinney the contact information of the 18,000 leads the agent had stored in his database. Kinney and his team at Keller Williams Realty then took the leads and converted them into $250,000 in commissions over the next year, according to the Bellingham, Washington-based Realtor. “Each and every agent office and community” has leads that agents can buy for less than what they would pay companies that are in the lead generation business, Kinney said. 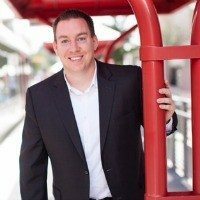 Some real estate agents who have a knack for reeling in prospective buyers and sellers online are setting up side businesses around lead generation, often selling leads for flat fees at below-market rates to agents like Kinney, who use marketing software to cultivate them into clients. Contact management systems and online marketing channels are creating new opportunities for real estate agents to find, sell and purchase information on potential clients. But agents who use creative ways to buy and sell leads should tread carefully, as attorneys say they can inadvertently run afoul of a raft of laws that govern privacy, kickbacks and lending. Kinney says he avoids legal pitfalls by requiring that his agents review prospects’ past communications with the agents he’s bought leads from. He also scrubs leads against do-not-call lists before contacting them. In addition, Kinney said he buys leads only from real estate agents who capture leads with websites powered by well-established real estate technology providers. Consumers who register to use the websites must give their consent to receive communications from agents. Kinney follows a disciplined strategy for scavenging leads and converting them into clients. He bought the first batch of 18,000 leads because they were inexpensive. His team gained exclusive rights to them, with the seller signing a noncompete agreement as part of the deal. Online leads generally cost Kinney about $15 a pop, and he says that’s only because he gets them by running pay-per-click advertising campaigns through BoomTown, his team’s contact and marketing management platform. Kinney said leads sold by big-name firms like Market Leader and Zillow can costs $30 or more. Many of the leads had garbage contact information, so plenty of the emails never landed in anybody’s email inbox, Kinney said. But he said only a small number of the people who did receive emails chose to unsubscribe, and none complained about being contacted. After some contacts began interacting with the listing alerts, Kinney and his team began sending personalized emails about the properties the leads were looking at and making phone calls to offer to show them homes. “The exciting thing is we are still closing transactions from this list and our ROI [return on investment] continues to grow,” Kinney said. The agent who sold Kinney his database of contacts ended up focusing his energy on generating leads for real estate agents rather than representing buyers or sellers himself. The agent had a gift for driving organic traffic through search engine optimization (SEO), he said. For years, the agent sold hundreds of leads a month to Kinney. He paid $10 apiece for those leads, he said, because they were much fresher than the 18,000 the agent previously sold to Kinney for $1 apiece. Amy Gerrish says lenders or real estate agents who join her relocation network, MoveThirty, get advertising on movethirty.com that produces leads for members that end up typically costing around $8 and $10. Gerrish, the team leader of The Phoenix Metro Group, launched MoveThirty after discovering she could generate leads from Facebook for as little as 75 cents a pop. 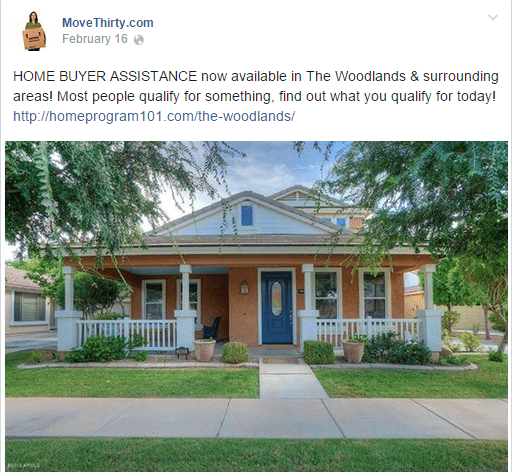 Gerrish generally targets ads on Facebook to prospective buyers and sellers between the ages of 29 to 39 in metros where lenders or real estate agents have paid memberships to MoveThirty. The ads feature “calls to action” — one asks if users want to learn about down payment assistance programs in their area. If a Facebook user clicks on one of the ads, they are directed to movethirty.com, where they can fill out a lead form. The information entered into that form is then stored in The Phoenix Metro Group’s contact management system, Follow Up Boss, which automatically begins sending the leads emails asking for additional information. After the leads provide the information, Gerrish routes them to MoveThirty members. Gerrish says she hopes to eventually focus on MoveThirty full time and hire someone else to manage her real estate team. Gerrish isn’t the only real estate agent who has found herself choosing between helping people buy and sell homes and taking her lead generation business to the next level. 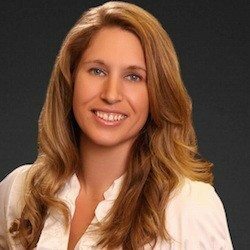 Instead of moving forward with initial plans to expand her lead generation service into a national business, she decided to hire agents in other markets and feed the leads only to them. That may have saved Todd from exposing herself to some legal risks. Well-established lead generation firms, such as listing portals, and contact management system providers are likely to take careful steps to avoid putting themselves or real estate agents at risk of inadvertently violating privacy laws, according to Ryan DiClemente, a consumer financial services attorney who specializes in the Telephone Consumer Protection Act (TCPA) and the Fair Credit Reporting Act. But some real estate agents who sell leads on the side might not be as careful, potentially setting up real estate agents who buy those leads to take on liability, said DiClemente, a partner at the law firm Saul Ewing. Real estate agents who purchase leads from a third party, including another real estate agent, can violate anti-spam laws if they send “commercial email” to leads who previously opted out of commercial email sent by the third party. Or they may buy the contact information of people who never provided consent to receive commercial emails from the third party, according to DiClemente. Agents who buy leads from a third party could also potentially breach the Telephone Consumer Protection Act (TCPA) if they call people on the do-not-call list, or send auto-dialed prerecorded calls or auto-dialed text messages — such as those delivered by some contact management systems — to the mobile phones of people who never provided their “express written consent” to receive such communications from the third party, he said. DiClemente said TCPA-related legislation has “exploded” in the last few years. He said agents may be pushing the limits of federal and state privacy laws even if the people whose contact information they buy from other agents had previously consented to receive certain communications. “If I consent to one agent sending me [communications], it doesn’t mean I consented to [receive communications from] anyone else they sell it to,” he said. Navigating privacy laws could become even more challenging for lead buyers, as well as lead sellers, if legislation proposed by President Obama goes into effect. Real estate agents can also take on liability for selling leads, not just buying them. While it’s perfectly legal for real estate agents to refer business to each other, it’s still possible for agents to violate privacy laws when selling the information of prospective buyers and sellers to other agents, according to attorneys. 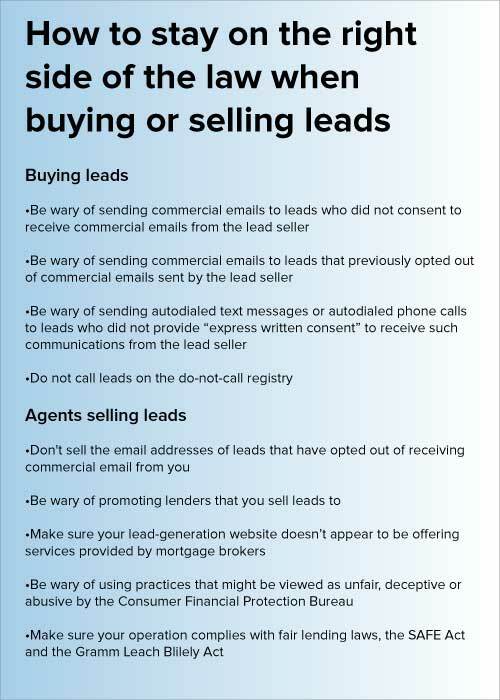 If a lead has unsubscribed from an agent’s commercial emails, for example, that agent may not sell that lead’s email address to anyone, including other agents. “Once people have told you they don’t want to receive more messages from you, you can’t sell or transfer their email addresses, even in the form of a mailing list,” the Federal Trade Commission says. But agents expose themselves to the most potential legal risk if they sell leads to settlement services providers other than real estate agents, because that can put them in danger of testing the Real Estate Settlement Procedures Act (RESPA) and other real estate laws, according to Marx Sterbcow, managing attorney at Sterbcow Law Group. RESPA prohibits settlement services providers — including, but not limited to, real estate agents, lenders and title insurers — from paying or accepting “any fee, kickback or other thing of value,” for referring or receiving business from other settlement services providers. That means real estate agents who are contemplating selling leads to any settlement service provider “must steer completely away” from promoting his or her leads to that settlement provider to avoid the appearance of “referring” the business for a fee,” said Francis X. Riley III, a partner with the law firm Saul Ewing. But even then, the agent might appear to be acting as an unlicensed mortgage broker by “selling prequalified consumer mortgage leads to a lender for a fee,” which might trigger a violation of the Truth in Lending Act, Sterbcow said. “What is on that menu is increasing by the hour at the CFBP’s sole discretion,” he said. Other regulation that could present legal liability for real estate agents who sell leads could include fair lending laws, the SAFE Act and the Gramm-Leach-Bliley Act, according to Sterbcow. National Association of Realtors Senior Counsel Ralph Holmen cast doubt on some of the legal risks of buying and selling leads cited by attorneys. “These sound like issues that someone who engages in this business needs to think about, but I don’t have comprehensive assessment of the risks,” Holmen said.